Interested in buying a house but a little intimidated by how much to save up and how much you can afford? It's easier than you think, so I'll demystify the steps. Plan ahead and you won't be caught off guard after falling in love with that dream house! Down Payment + Closing Costs + Moving Costs + Padding = Yay! New house! a. 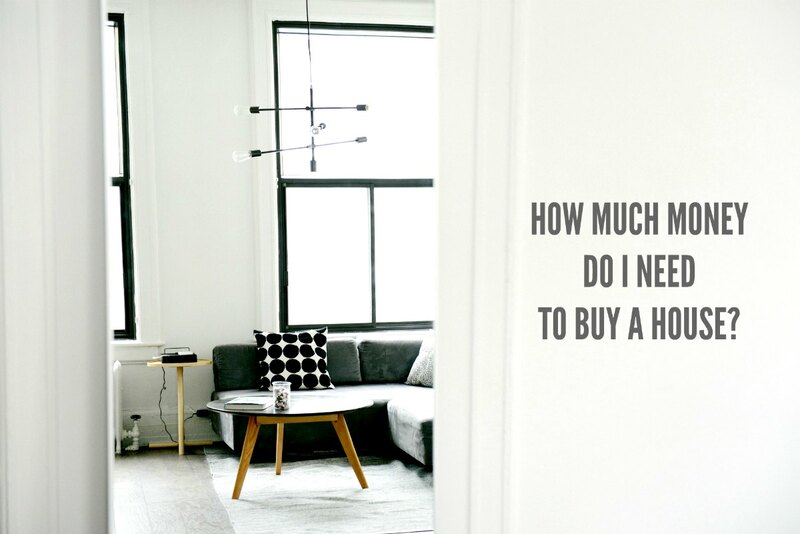 Calculate how much you need - how much do I need as a down payment? While you can buy a home with as little as 5% down, many popular areas are experiencing multiple bid situations. Sellers want to ensure that the sale closes and doesn't run into any issues. With 5% down and multiple bidders, the price of the home could be bid up to a point where the appraisal is too low for the loan to close. I recommend speaking to your mortgage lender about your various mortgage options to ensure that you know how much the lender will extend to you. See more on my article about why appraisals are so important. Budget about 1.5 - 2% of the purchase price for closing costs. Even if the seller pays your closing costs, there are a number of other costs you will have to account for. Don't be surprised like I was! Learn more about how much you'll need here. In addition to all these fees, remember that you'll need some reserves to pay for moving, upgrading your new home, preparing to leave your currently home (painting, etc) and for any unexpected repairs that may come up in the first few months. Also make sure you have that emergency fund in case one of you loses their job. Many lenders want to see that you have enough in reserve to pay 2-6 months of mortgage payments. It's just as important to keep your house as it is to buy that house! The best way to get exactly how much you will need to save up is to work closely with your preferred lender. Ask your friends and family for lenders that provided outstanding service. I'm happy to recommend a couple of lenders that we love to work with. Don't worry, real estate agents legally cannot accept referral fees from lenders so our recommendation is only because they are truly awesome. When I was saving up for a house, I auto-deposited a chunk of my paycheck into a savings account at a different bank. With that chunk gone, I had to budget the rest into my living expenses. Forgoing some vacations was definitely worth it when I look around my very own house! This monthly payment should still allow you to save for retirement and for your emergency fund. Keep in mind that you will likely still save a little more, as your overall taxable income decreases by the amount of mortgage interest you pay. A great way to save is to budget in this amount each month prior to purchasing a home. Put the difference between your current rent and this amount into your savings account. a. What are taxes : in Los Angeles, annual property taxes are approximately 1.25% of the purchase price. You may half this amount twice a year. Usually your lender will divide this amount by 12 months and add that to your monthly payment. b. what is P&I : Principal and Interest. Principal is what you paid for the house and Interest is your amortized cost of the loan. c. what is insurance? : Insurance refers to your homeowners insurance, which generally includes fire insurance. Your lender usually divides your total payment by 12 months and adds this to your monthly payment. This does not include earthquake insurance, so make sure you contact your insurance agent to add it. You may find it's much cheaper than you anticipated. d. what is PMI? : PMI is private mortgage insurance. If you paid less than 20% down on your mortgage, your lender has insured their investment in case you default on your loan. This covers the difference between what the lender could sell your home for and the total amount you still own on the loan.